<img class="margin-right: 20px; alignleft wp-image-2214 size-medium" src="https://i0.wp.com/nmfd-660.com/wp-content/uploads/2015/04/North-Massapequa-Fire-Department-Unveils-New-Heavy-Rescue-Unit-664-at-Wet-Down-Ceremony-300×225.jpg?fit=300%2C225" alt="North Massapequa Fire Department Unveils New Heavy Rescue Unit 664 at Wet Down Ceremony" srcset="https://i0.wp.com/nmfd-660.com/wp-content/uploads/2015/04/North-Massapequa-Fire-Department-Unveils-New-Heavy-Rescue-Unit-664-at-Wet-Down-Ceremony.jpg?resize=300%2C225 300w, https://i0.wp.com/nmfd-660 our website.com/wp-content/uploads/2015/04/North-Massapequa-Fire-Department-Unveils-New-Heavy-Rescue-Unit-664-at-Wet-Down-Ceremony.jpg?w=1000 1000w” sizes=”(max-width: 300px) 100vw, 300px” data-recalc-dims=”1″ />The North Massapequa Fire Department’s Engine Company 3 recently held a dedication ceremony for its new heavy rescue unit 664. 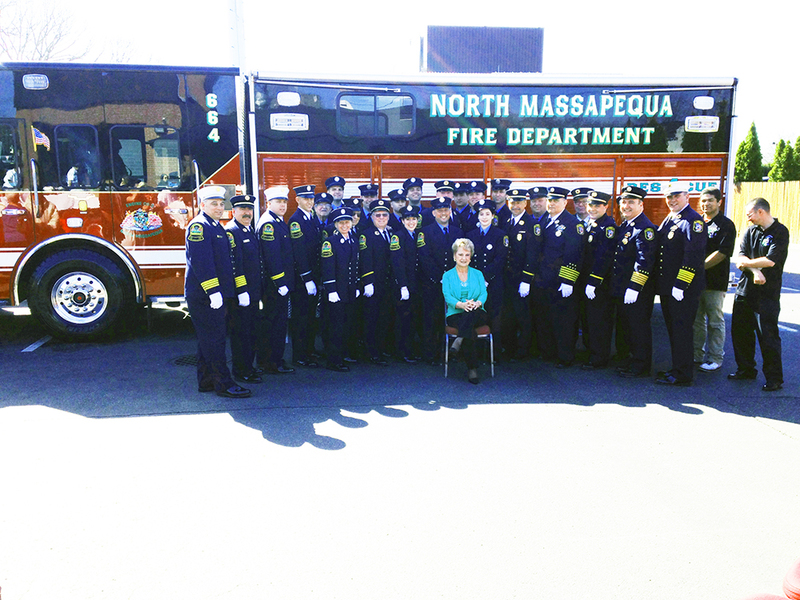 The ceremony, which included district officials, department members, the clergy and invited guests from the community, took place on a beautiful Sunday afternoon behind the North Massapequa Fire Department’s Station 2 building on Hicksville Road. The truck bears a commemorative plaque in honor of late Commissioner and Ex-Captain John J. Erickson, a 42 year member of the North Massapequa Fire Department and Friendship Engine Company 3, who was widely respected throughout the fire service and the community. The ceremony included a champagne wet down conducted by Erickson’s wife, Lucille and son, Richard, who is an Ex-Chief of the Department. The ERV Heavy Rescue, made by Spartan, is equipped to handle a multitude of emergencies including vehicle extrication, stabilization and also can serve as a mobile command unit. The rig is logistically and ergonomically well designed and features exceptional versatility in the field for responding firefighters. It offers multiple seating options, rehabilitation, planning and preparation, and command configurations.